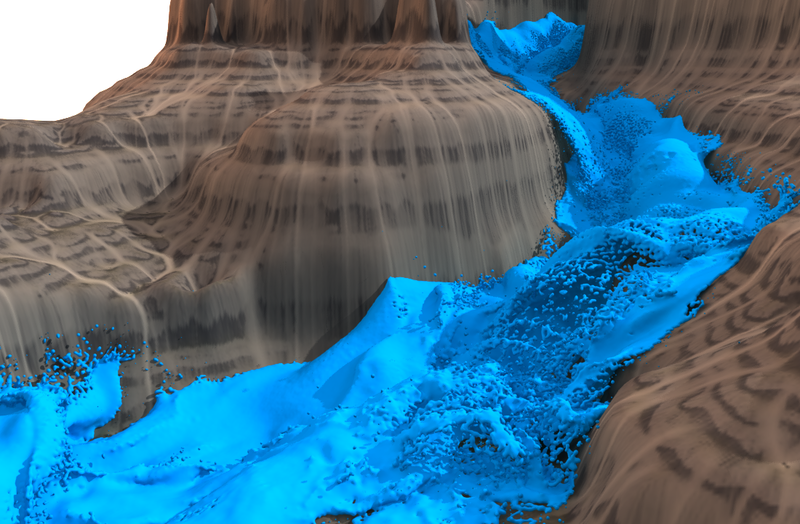 SPlisHSPlasH is an open-source library for the physically-based simulation of fluids. The simulation in this library is based on the Smoothed Particle Hydrodynamics (SPH) method which is a popular meshless Lagrangian approach to simulate complex fluid effects. The SPH formalism allows an efficient computation of a certain quantity of a fluid particle by considering only a finite set of neighboring particles. One of the most important research topics in the field of SPH methods is the simulation of incompressible fluids. SPlisHSPlasH implements current state-of-the-art pressure solvers (WCSPH, PCISPH, PBF, IISPH, DFSPH) to simulate incompressibility. Moreover, the library provides different methods to simulate viscosity and surface tension. Library is free even for commercial applications.